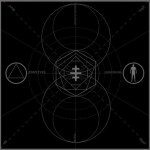 Genre/Influences: Goth-rock, dark-wave & electro. Background/Info: German formation Stendal Blast was set up somewhere in the midst of the 90s. Some members were also active in Cyan Kills E.Coli, but Stendal Blast definitely became more recognized especially in their homeland. Early albums like “Was Verdorrt” and “Alles Liebe” became quite successful releases. The band also released a few noticeable collaborations with artists like Veljanov and Blutengel. A few years ago the band calls it quits, but they struck back doing a few live performances. Last year Schwarzrock released a ‘best of’ album while this double disc is their very last concert in Leipzig (the 4th of Oktober 2013). Content: The album features 21 songs taken from the band’s discography. It’s a way to (re)discover some early main songs (cf. “Wo Führt Das Hin?”, “Hinter Den Fenstern”) and late essential pieces and some hits (cf. “Schmutzige Hände”, “Trümmer, “Fährmann”). But this album first of all is a personal and intimate interaction between a band and their fan base. You can feel certain emotion coming through, realizing that this could be indeed the very last concert of a beloved formation. The ‘abschied’ (cf. ‘goodbye’) is present from the intro until the so-called “Adieu”-song. This live recording also is a way to remind us the very particular sound of this band driven by singer Kaaja Hoyda and Bernhard Lottes. The sound has always been pretty hard to define, but has been often describes as gothic-like. Stendal Blast was a rather typical German formation dealing with gothic and other influences like dark-wave, rock and electronics. It sometimes became a bit cabaret and theatrical like, but their best pieces remain the hardest ones, which are carried by cool electronic melodies and hard guitar riffs. + + + : This is definitely a must have record for the die-hard fans of the band and especially for all of those who were there in Leipzig. 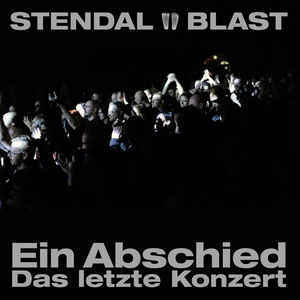 Stendal Blast will be remembered for their own music genre, which was much more than traditional gothic-like. 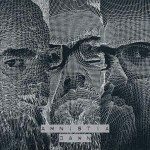 – – – : It feels a bit strange to release this album nearly 3 years after the performance. Last year we already got a ‘best of’ so it’s maybe time to let Stendal Blast rest in peace. Conclusion: This is an unexpected post-mortem release of a band that got fame and recognition in their homeland, Germany.